Guys, I would like to tell the people, Popular messaging company WhatsApp has vacated vacancies in India too. To recruit WhatsApp, Facebook has become a full-fledged role in posting about the vacancy in their careers page. If you are also completing the eligibility, then you can apply for this post. In this post, we will tell you in full detail about which post will be the vacancy is, and what will be the role. Actually, WhatsApp has posted the vacancy for 'Country Head' in India. These posts are empty from many days away. 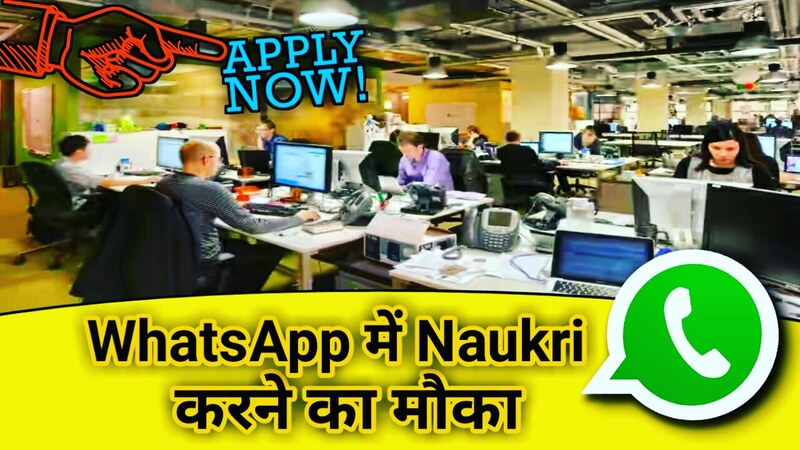 In India, the person who has been selected, he has to be lead WhatsApp business in India, specifically the p2p payment service which have just started, and in the testing phase. There is a 200 million monthly active user in WhatsApp's India as of February 2007. Company wants to increase the number of users. Even WhatsApp has paid off in the payment service. So WhatsApp needs India's lead. I would like to tell you, this post is for Mumbai's office. Because the developers of WhatsApp are also combined in the same office. The person who has been selected for 'Country Head', he must report directly to the Chief Operating Officer of WhatsApp in California. And have to build a good relationship with co-partners, to make WhatsApp the need of the people. 1. You must have a 15 years experience in the product-driven company. 2. You must be at least 5 years of experience in payment technology. 3. In the Minimum Academic Qualification, you should possess the degree of Bachelor of Science and Master of Science in Engineering/Sciences/Business. So if you are filling the eligibility criteria for this post, then definitely apply for this post. Click Here to apply for the post of 'Country Head' in WhatsApp India.